So Apple’s shiny new iPhone releases – the iPhone XS and iPhone XS Max – have convinced you it’s time to swap your ageing iPhone. Follow our tips to make it ready for resale, get the best price for it, and pass it on without security nightmares. But first, back up all your stuff, ready to restore to your new iPhone so it feels like home on day one. Before saying goodbye to your iPhone, make sure all your data is copied off it. Go to Settings, tap your name at the top, tap iCloud, then scroll down past the list of app and tap iCloud Backup (or in iOS 10.2 or earlier, just go to Settings > iCloud > Backup). If it isn’t already turned on, do it now and allow a couple of hours for the first backup. Just before you finally erase your iPhone (see below), come back here and tap Back Up Now. It’ll quickly ensure everything’s up to date. If you don’t have enough iCloud space to back up, check if there are any old backups under iCloud > Manage Storage that you can delete. Alternatively, you can back up to your Mac or PC via iTunes, but it’s more hassle. When you get your new iPhone, it’ll take you through a setup process that includes the option to restore everything from your iCloud backup over Wi-Fi. If your old iPhone isn’t super old and is in good condition, it’s easy to sell it on. You could list it on eBay, but the effort, seller’s fees and intense competition make that a less than appealing prospect. It’s simpler to use one of the many services that give you a quote based on the model, then let you mail the iPhone to them free of charge and transfer payment to your bank account within a few days. The key is to shop around. Apple does trade-ins on iPhones (and other mobiles), but only offered us a £75 gift card for a 64GB iPhone 6s. But when we checked on Compare and Recycle, a price comparison site for used gadget sales, we found offers up to £181. Even for a phone in ‘poor’ condition (working, but with heavy wear and tear, liquid damage or a chipped screen), Music Magpie offered £82. You may want to check out the service you plan to use on review sites such as TrustPilot. Look out for a guarantee that your phone will be returned free of charge if they won’t honour the quoted price after seeing it. If your iPhone isn’t pristine and is submitted under a broad ‘good’ or ‘working’ definition, they might make a lower offer, but you should have the option to cancel. Some buyers will accept phones locked to UK networks, quoting slightly lower prices, while others only accept unlocked. If you eBay it, unlocked will get more bids. A UK phone will only be locked now if you bought it from a network, and even then it may have been released automatically; if not, it’s usually free to get your network to unlock it (see MoneySavingExpert’s guide). Whether you sell your iPhone or pass it on to a friend or relative, logging out of iCloud and iTunes isn’t enough: you need to restore it to its factory state, or there’s all kinds of potential for both identity theft and general account mix-up mayhem. First, double-check all your stuff is safely in your iCloud backup, on your iCloud Drive, on another cloud service or on your Mac or PC. Now go to Settings > General > Reset and tap Erase All Content and Settings. You’ll need to enter your Apple ID and password to log out. Then the iPhone will restart and say hello, just like when you first got it out of the box. Oh, and don’t forget to pop out your SIM card using the little tool you lost two years ago. Network contracts spread the cost of your iPhone and typically have upgrade options to change it periodically. You can get a similar deal when you buy an iPhone outright from Apple with its Upgrade Programme. 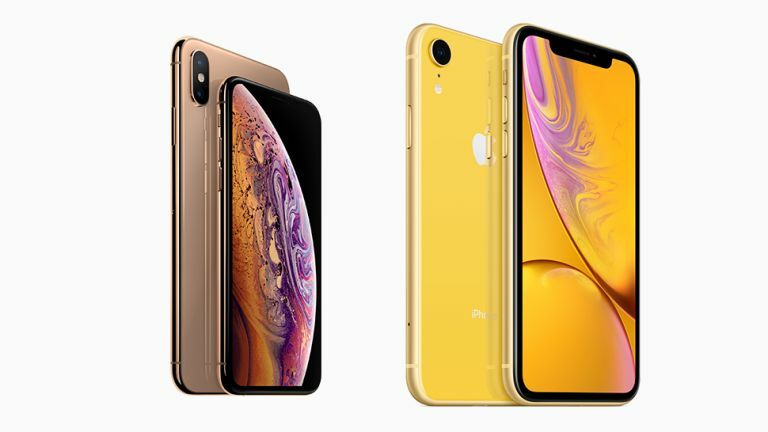 When you choose your new iPhone, you commit to a fixed monthly payment instead of an upfront lump sum – currently from £41.45 for an iPhone XR or £56.45 for an XS (only the latest models are eligible). This doesn’t include any calls, texts or data – you’ll need a separate SIM-only network tariff. Technically you’re taking out a 20-month interest-free loan for the total cost of the iPhone plus AppleCare+, which is compulsory. So it’s pricier than buying just the phone, but no different if you wanted AppleCare+ anyway. Although you’re committed for 20 months, after 11 you can return the iPhone and get a new model (subject to a cost adjustment if the launch price is higher), and as long as it’s in good condition there’s no extra charge.